Around the turn of the century, Macworld moved from NYC to San Francisco. I traveled out to the coast in order to meet up with existing friends, to make some new ones and see what new items there were for me to review. Many times I had discovered new products on the show floor, took them back to the hotel, loaded them onto my laptop, wrote my review and released it the next morning. But this one time, I had already used a new piece of software from a fledgling company called Rogue Amoeba. After seeing their logo, I knew that I had to meet with and interview the founder, Paul Kafasis. The product: Audio Hijack. There would be two flavors, Audio Hijack and Audio Hijack Pro. Both were perfect pieces of software for Mac users. Simple to use and filled a niche. Now, well into the 21st century and over a decade later, we have Audio Hijack 3, both versions rolled into one. Times have changed and so has Audio Hijack 3. All for the better. 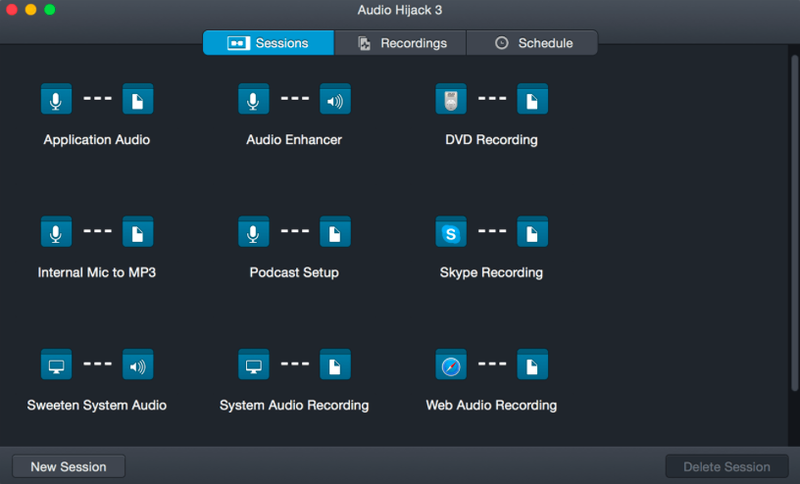 As I stated in the intro, Audio Hijack initially came in two flavors: Audio Hijack and Audio Hijack Pro. 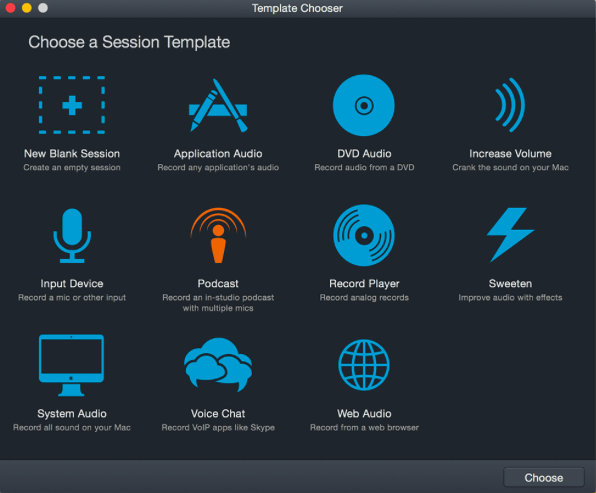 Audio Hijack 3 represents a complete ‘re-think’ of how the app functions. But in an extremely positive way. They made it more intuitive than it had always been. They have also added new features not for the sake of differentiating themselves from similar apps but to make the app more intuitive and insanely more productive. The app has been rewritten. Innumerable bug have been squashed and overall latency has been “massively” reduced. The app’s core functionalities remain the same. 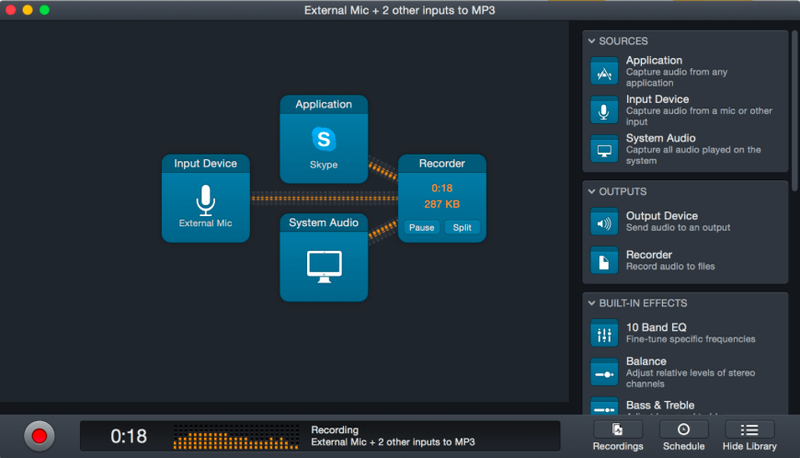 You can record audio from any app, device or from your system audio itself. 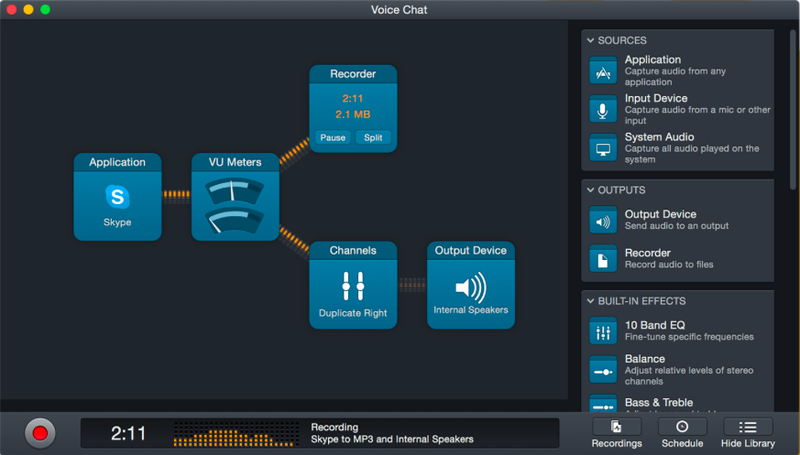 You can record VoIP calls for later reference. (Naturally, only record things that you have the legal right to.) The app also records in a wide range of formats from MP3 and AAC, to lossless formats such as AIFF, WAV, Apple Lossless, and FLAC. The most striking thing in the latest iteration is how extremely simplified your workflow becomes in Audio Hijack 3 and this begins with the UI redesign. Now, instead of a column layout, you have a ‘playing field’ upon which to drag icons to create your recording set-up (a/k/a ‘session’). For example, I’m having a business meeting online and the app that I wish to record from is Skype. I then create a ‘session’ by simply dragging icons onto the ‘playing field’. In this case, I would simply drag Audio Hijack’s application ‘box’ onto the field and choose Skype from the pulldown menu. (In fact, tap on any box and you can adjust all the settings.) Next, I would drag out my choice of output, such as headphones. In between these two, I can choose to use a plethora of built-in effects (i.e. EQ, dehum, pan, …), audio units (i.e. Volume Booster, AUDistortion, AUMatrix Reverb, …) and either VU or MenuBar meters. When your done creating and tweaking your ‘session’s’ presets, you can save it for use again later. And if all of this makes your head spin, you can choose from a selection of pre-made ‘sessions’. And there’s now auto-ducking for DJs and podcasters. There’s the Time Shift effect which lets you pause, delay, and rewind live audio. There’s the ability to set up timed recordings, for when you’re not around. You can even turn any app on your Mac into an alarm clock! The list of features goes on and on. Using Audio Hijack 3 is embarrassingly easy. Without even reading how to use it, I impulsively fired it up and put it to work. During my wedding ceremony, my bride wished to have a tenor sing Ave Maria. It wasn’t until months later we realized that the tenor never sang it! As with all previous versions, I have nothing to put on a wish list. It all worked as advertised. Rogue Amoeba has come a great way from a small start up. And with good reason. They make quality applications that they make more powerful and easier to use with each successive release, all at reasonable prices. Download and create a new addiction for yourself. You’ll be glad that you did. Enjoy! 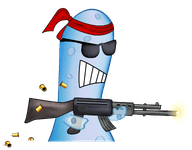 This entry was posted on Tuesday, April 14th, 2015 at 10:52 pm	and tagged with Apple, Audio Software, Frank Petrie, Mac software, Review, reviews, Rogue Amoeba, software, update, YMP, YMPNow and posted in Reviews. You can follow any responses to this entry through the RSS 2.0 feed.